The new flat-less tire for the wheelchair. The Marathon has become the absolute benchmark for puncture-resistant pneumatic tires on wheelchairs. A portion of the SmartGuard protection belt is made of recycled natural rubber. The "anti-aging" sidewall construction can withstand typical overloading caused by low inflation pressure for much longer. 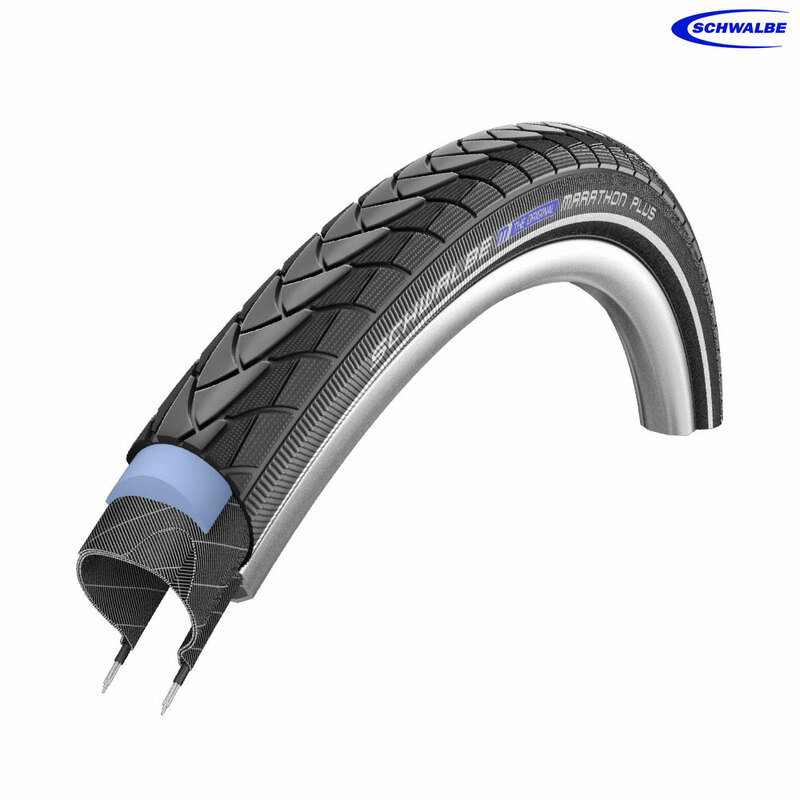 I normally get through a pair a year which seems like good value to me considering I've not had a puncture since I started using them. Is this tyre only for wheelchairs, or can it be used on a bike? There is no reason why you could not use this on a bike. It is very rare to get a bike wheel in that size, that is why they say that they are wheelchair specific.